LAGOS JUNE 29TH (NEWSRANGERS)-Joe Jackson, the father of pop superstars Michael and Janet and the patriarch of the world-famous Jackson family, died on Wednesday. He was suffering from cancer, and passed away at the age of 89, nine years after his famous son Michael Jackson died at 50. Fired as a manager by his children and accused of abuse and cruelty by several of his kids, Joe Jackson died without much in the way of money or an estate. At the time of his death, his net worth was estimated at $500,000, according to Celebrity Net Worth. Meanwhile, his son Michael Jackson has routinely been named one of the world’s highest-earning deceased celebrities, with his estate making an astounding $825 million in one recent 12-month period. Overall, Michael Jackson’s net worth is estimated at $500 million, and the net worth of his sister, Janet Jackson, is said to be $175 million. Here’s what we know about Joe Jackson’s money. When Michael Jackson died in 2009, neither Joe Jackson nor Michael’s siblings were included in the will. Instead, a trust had been established to distribute Michael Jackson’s money to his mother Katherine, his children, and to charity. Katherine was also named as the legal guardian for Michael’s three children, Prince Michael, Paris Michael, and Prince Michael II (also known as Blanket). Joe Jackson was never divorced from Katherine, but the two were separated long before Michael died. Even so, and even though only Katherine was named as guardian to Michael’s children, Joe Jackson said he wanted to raise them with his estranged wife. Later that year, a lawyer for Joe Jackson filed a petition seeking an allowance from Michael Jackson’s estate, stating that the elder Jackson had little in the way of income. Joe Jackson was hoping to receive a stipend that would cover the $1,200 monthly rent on his home in Las Vegas, as well as monthly allotments of $2,500 for dining out, $1,000 for entertainment and gifts, $2,000 for flights, and $3,000 for hotels. The total sought by Joe Jackson came to over $15,000 a month, or nearly $200,000 per year. While the case was working its way through the courts, Joe Jackson withdrew his request for an allowance in June 2010, almost exactly one year after the death of his son. In his later years, Joe Jackson reportedly lived in a $500,000 condo in a gated community in Las Vegas. He was frequently seen around town, in particular at the Red Rock Resort and Tivoli Village. 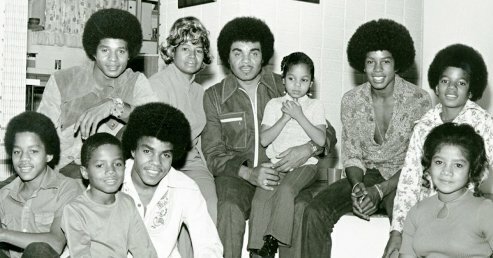 Joe and Katherine Jackson had 10 children and raised them in the poor community of Gary, Indiana. When the children became a hit on the music scene in the 1970s, the Jacksons moved to a family compound in Encino, California. Michael Jackson purchased that home from his parents, and ultimately recorded “Off the Wall” and “Thriller” in the property’s music studio. Michael Jackson lived there until moving to his famous Neverland Ranch in the late 1980s. According to Variety, Joe Jackson lived for years on and off in the Encino home owned by Michael. Joe and Katherine Jackson filed for bankruptcy protection in 1999. The couple listed $24 million in debts, and the only valuable asset they seemed to have was a $290,000 home in Las Vegas. Over years, Joe Jackson has been involved in many businesses attempting to profit off the Jackson family’s music legacy. In 2012, for example, he was seen in a mall kiosk selling “Jackson Perfumes,” and he reportedly did not have permission to use the image of Michael Jackson used on the bottle. Earlier this year, Joe Jackson released a photo book chronicling his family and career called Precious Moments. Joe Jackson had attended book signings and promotions since its release, even though he was severely ill. A message posted on Joe Jackson’s Twitter account a few days ago seemed to acknowledge that the end was near. Michael Jackson fired Joe Jackson as his manager in 1979, the same year that his hit album “Off the Wall” was released and three years before “Thriller” debuted and went on to become one of the best-selling albums of all time. Michael’s siblings in the Jackson 5 fired their father as manager as well, in 1983. Janet Jackson also paid tribute to her father over the past weekend, while accepting an award at the Radio Disney Awards. “My father, my incredible father drove me to be the best I can,” the pop superstar said in her thank-you speech, given after Joe Jackson had been diagnosed with terminal cancer.